Dr. Wang is an Associate Professor in the Community Health Sciences Department, and a Peter T. Paul Career Development Professor, at Boston University. She obtained her doctorate in Health Behavior and Health Education from the University of Michigan and has expertise in survey research methods, intervention development, and program evaluation. Her research has spanned across several areas including public health genomics, health communication/e-health, health literacy, and cancer prevention and control. 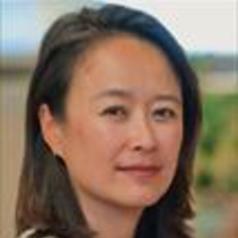 Dr. Wang currently serves as a member of the National Cancer Institute's PDQ Cancer Genetics Editorial Board. Much of Dr. Wang’s work focuses on the effective translation of genomic discoveries into clinical and public health practice. She has been the Principal Investigator on several grants to examine how people understand and use complex risk information to make health decisions. Her work also examines how individuals adopt new health technologies, including genomics and molecular diagnostics, and examines barriers to the adoption and implementation of these technologies among underserved patient populations. With a grant from NHGRI, she is currently collaborating with clinicians and computer scientists at Boston Medical Center and Northeastern University to create a "virtual counselor" to ascertain family health history in efforts to overcome previously identified literacy-related barriers to using computerized tools and facilitate the use of family history a vehicle for precision medicine. Another NHGRI grant is examining the adoption of prenatal cell-free fetal DNA testing in diverse patient populations in efforts to identify and address potential inequities in use.